For thousands of years philosophers have discussed the question of whether numbers exist. Surprisingly, there are very easy arguments from commonly accepted truths that seem to decide the question. For instance, it is a commonly accepted truth that Obama has two hands. If Obama has two hands, then the number of Obama’s hands is two, and, thus, numbers exist. If such arguments were convincing, ontological disputes about the existence of numbers could be decided simply by pointing to Obama’s hands! The book offers a defense of the profoundness of traditional onto­logical questions by showing that the easy arguments in question are based on false linguistic assumptions. To do so it engages with recent linguistic research and develops analyses of the pertinent sentences that are of interest far beyond the metaontological question at hand. "The book is splendid: a joy to read, tightly argued and very well structured. 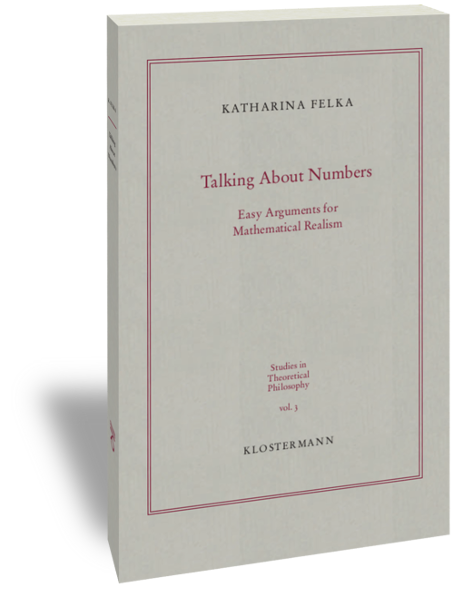 [...] In sum, this is a major contribution, recommended to anyone interested in topics at the intersection between the philosophy of language and the philosophy of mathematics." "La lecture de cet ouvrage s'impose à ceux qui voudraient se faire une idée précise, rigoureuse, de l'état actuel de la philosophie du langage, au confluent de la grammaire profonde des langues et de la logique."